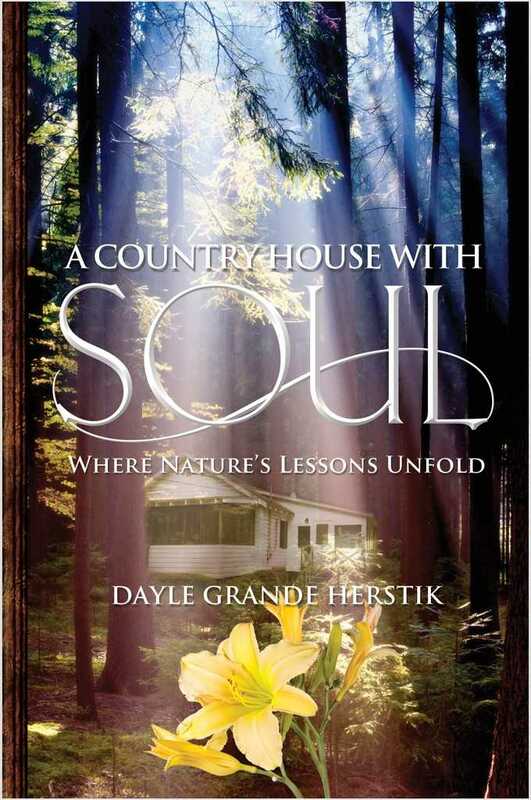 Florida author and artist Dayle Grande Herstik celebrates the publication of her third book, A Country House with Soul: Where Nature's Lessons Unfold. Herstik contends that everyone deserves a sacred space to rest in to their authentic Self. Nature lovers and artists of all kinds will love her nostalgic narrative as she explores this notion through the lens of looking back on life and remembering what it was like "in those days," growing up in crowded neighborhoods and cities of concrete. In stark contrast stood the country house—a place of respite from frenetic times and noise, and lack of trees—in a magical environment replete with aromas of pine and balsam, water without chlorine, and activities like berry picking, hammock swinging, and rowing in a big wooden boat. As Herstik's essays welcome us into the summertime sanctuary enjoyed by generations of her family, nature's lessons unfold before our eyes and help us all lead a balanced life. A seasonal resident of Boca Raton, Florida, Herstik is a writer, poet and painter whose work reflects upon life’s wisdom, relationships, philosophy, and tiny moments that linger upon the landscape of her natural surroundings. In “retirement,” she divides her time is between Boca Raton, Florida, New Jersey, and the Adirondack mountains in New York State. She is a member of the National League of American Pen Women.